Electrics are on track to triple 2011 figures, while still only a small fraction of the overall market. NEW YORK ( TheStreet) -- With the six-month numbers in, we are now in a better position to estimate how many plug-in electric cars will be sold in the U.S. in 2012. For reference, it is estimated the whole U.S. car marketwill be at or slightly above 14 million for the year. Last year, just under 18,000 electric plug-in cars were sold in theU.S. The format for this article will be to go car-by-car, addingthem up at the bottom. Chevrolet ( GM: 8,817 Volts were sold in the U.S. in the first half of2012, with very few of those in January and February as GM awaitedshipments of the version approved for the California carpool lane andadditional $1,500 tax incentive. Production of the improved 2013model started in late June and Chevrolet is just now starting todiscount some remaining 2012 units by $2,500. It is reasonable that Chevrolet should be able to sell almost 2,000Volts per month in the U.S. for the second half of the year, yieldinga year-total of approximately 20,000. It should be noted that allversions of the Volt (Opel, Vauxhall and Holden) sellinginternationally are going at a rate of an additional 10,000 units withplenty of upside. The Volt factory in Hamtramck, Detroit,is now humming at a rate of at least 30,000 per year. How much upside could there be to these 2012 Volt sales estimates?That will depend in part on how the Volt's excellent reliabilityrecord spreads, whether via word of mouth or advertising. So far,over 89 million miles have been driven by the owners, over 55 millionof whom have been in all-electric mode. Quality issues? Searchingthe Internet, extremely hard to find any. Nissan ( NSANY: The Leaf was the 2011 sales leader with almost 10,000 sold inthe U.S. So far in 2012, the Volt has crushed the LEAF's 3,148 unitssold in the U.S. Nissan says that the improved 2013 model, to be madestarting in the next couple of months in Tennessee, should cause asharp sales increase in the fourth quarter and hit 20,000 for theyear's total. That 2013 model had better be a huge improvement for Nissan to hitthat number. I think 15,000 is more realistic, but it's really hardto say until we see the 2013 model and its improvements. Toyota ( TM: Much like the Ford C-Max Energi and Fusion Energi, the PriusPlug-In is not a capable electric car in the same way as the Nissanand Chevrolet, but I am counting it anyway. U.S. sales have beenmostly close to 1,500 per month and expanding into more states asthe year moves along. Toyota should not have any problem hitting itsgoal of 12,000, with potentially plenty of upside. Manufacturing of the RAV4, co-developed with Tesla ( TSLA - Get Report), has just startedand 2,600 units will be made over 2.5 years, with deliveries to startby August. That's an insanely low number, and demand in Californiaalone could be there for all of these in 2012. I bet they will sellthem all in 2012. Ford ( F: The all-electric Focus has been selling for a couple ofmonths, but perhaps because the car costs even more than the largelysimilar Nissan Leaf, it has not sold much. It's almost impossible tosay whether it will sell more or less than 1,000 units for the year. Ford is launching the C-Max Energi near the end of the year, andshould be able to move perhaps a couple of thousand of those units. The Fusion Energi will probably not hit the market until the firstquarter of 2013. Both of these should be big sellers in 2013,depending on how they are priced. They are very attractive cars, soit's just a matter of the yet-unannounced pricing. Tesla: Elon Musk has nailed all of the forecasts so far, and isextremely confident of hitting at least 5,000 for the year. I have noreason to doubt him. Furthermore, he is equally confident in 20,000units for 2013. BMW: Has leased 700 1-series electrics in the U.S. The i3 won'tlaunch until (late) in 2013. MItsubishi: The prospects are for perhaps little over 1,000 units,maybe even less. Coda: Total wild card. I am not convinced many will sell. Perhaps1,000 units. Honda ( HMC: 1,100 electric Fits will be made, and leased only for $389 per month. Fisker: It looks like Fisker is on track to sell at least 1,000 for the year. That would easily more than triple the 2011 sales level, but stillconstitute just under half of 1% of the total U.S. car market in 2012. 1% would be 140,000. The swing factors are huge enough for 2012, so I am not making much ofa prediction for 2013 yet, let alone 2014. That said, the trajectoryhere is very easy to understand. 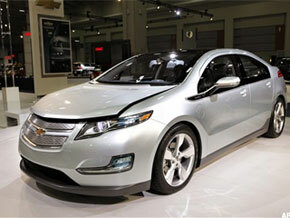 By 2014, it expected that almostevery car maker will have serious plug-in electric cars in the market. 2013 will be an important year, with BMW and perhaps VW and Audi --among others -- entering the market, and the existing makers such asChevrolet, Ford, Nissan and Tesla dramatically expanding theirofferings. At the time of submitting this article, the author was long TSLA.